Billions of people use Google search daily, but not many could tell you what the search results are called. SERP stands for Search Engine Results Page. When you do a Google search, this is the page that lists the results that you can click on. SERPs used to include just ten blue links, but now they include universal search features to best answer the users search. What Does a SERP Mean for SEO? We’ve established that the SERP means Search Engine Results Page. What this means for the practices of search engine optimization is that we have to account for what features show up on a SERP for each keyword query. Since Google established Universal Search, the SERPs have featured much more than just ten blue links. Search results now include images, videos, shopping ads, local search results and more recently featured snippets. Moz has an excellent breakdown on SERP features that explains each result type. 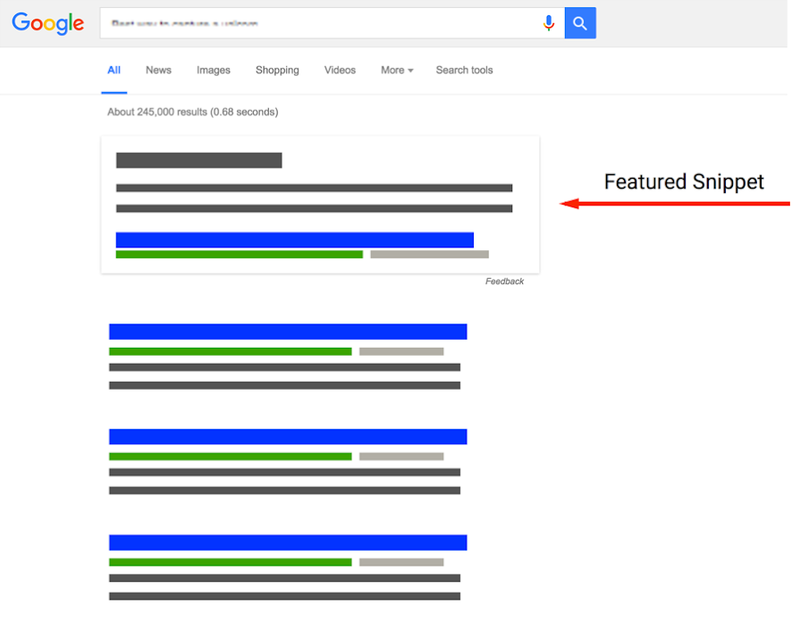 Featured snippets are summaries that appear at the top of a Google SERP that answers the user’s query. They are programmatically extracted from a page that almost always is ranking in the top 10 of search results.